This is a quote from the movie “Untouchables” and in one part of the movie they were talking about being able to find cops who were not corrupt. Today many creditors, collection agencies and law firms are having trouble with staffing for many reasons, one of the biggest is employees come with too many bad habits. 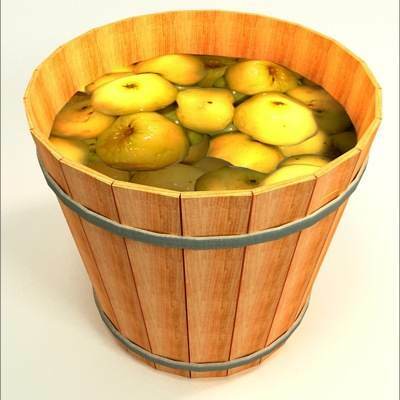 Most companies want to hire experienced debt collectors or at least staff experienced in some type of call center work and that is just like getting an apple from the barrel, it may be a bad apple. The reason that the companies go to the barrel instead of the tree is because they lack a proper and effective training program. When I go do my consulting and I am in the initial stages I ask about the training programs of the company and I never hear “we have a great program let me show you”. I hear things like “we do a lot of side by side training” or “we have a week long training program that everyone completes”. Why don’t you have a training program I ask, one that is ongoing forever and has the ability to develop the staff not just train them? And they look like a deer in the headlights of an oncoming truck. The problem lies in the fact that most companies do not believe that the investment in training and development will actually pay off and secondly they just don’t know how to create such an extensive program. The cost to create the program is actually not the problem for most agencies it’s taking one of the three people who can write it and giving them the 6 months needed to create the program. In most cases the few people in the company with the overall knowledge to write this type document are the people who keep the company running daily. If they cease doing their daily tasks to write the document the company will suffer financially and operationally. What you need a complete program that you can adjust to meet your companies policies. Well your lucky because Lighthouse Consulting has created extensive staff development programs over the years and we can help you to create one that will reduce your turnover and increase the skill level of your staff. If you see the value in training and development contact me for a sample of the Lighthouse Staff Development program and you’ll see the value quickly.